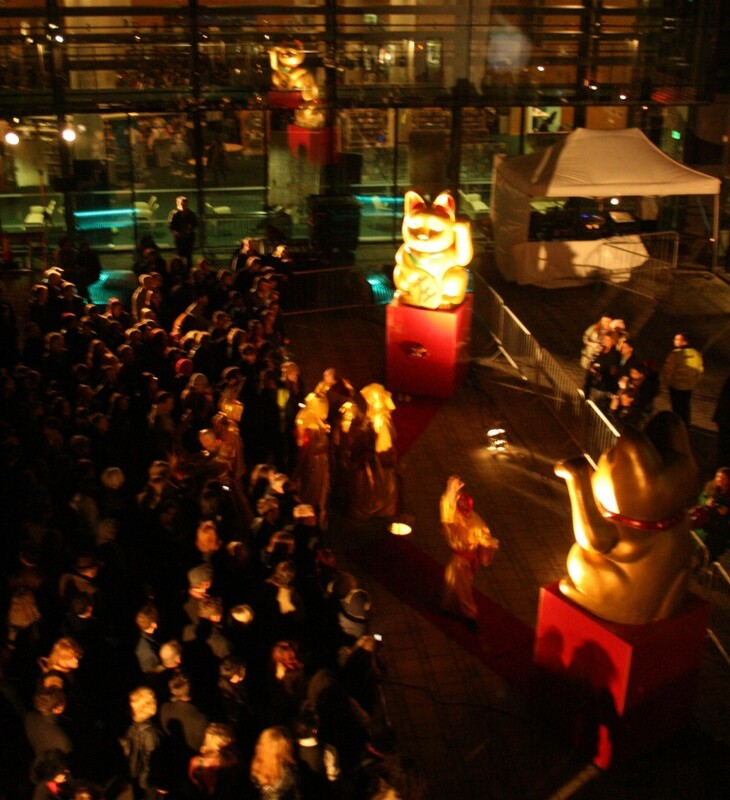 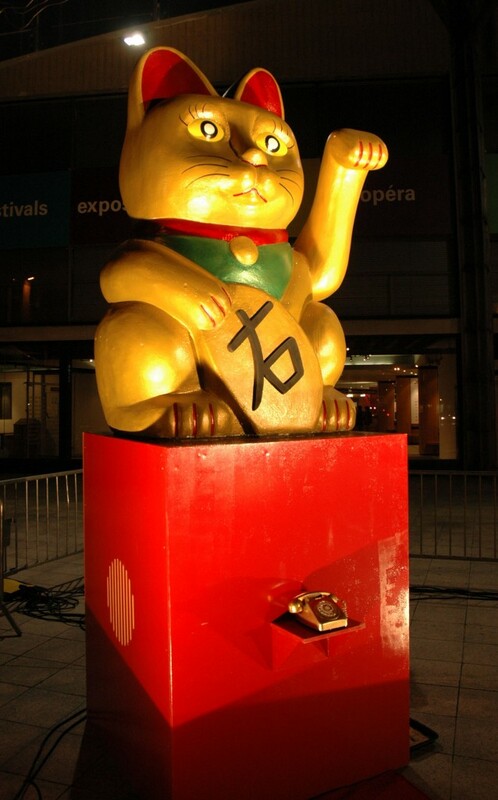 Mammon is a giant mechanised replica of a Maneki Neko, the Japanese talisman of wealth and popularity, thought to bring good luck. 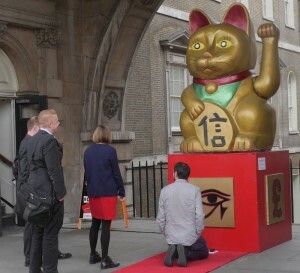 The Fortunecats have made many iterations of this work, the version at The Art of Bots is a comical, male, God of Capitalism created with poet Deborah Layzell. You can wake Mammon and hear his generativity composed wisdom and thoughts on the power (and vacuity) of wealth. 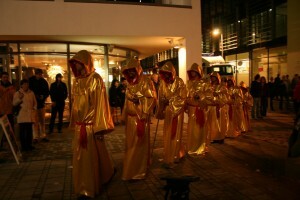 You will also receive your own unique commandment. 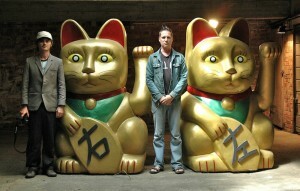 You are currently browsing the The Fortunecats category at Fortunecat Productions.